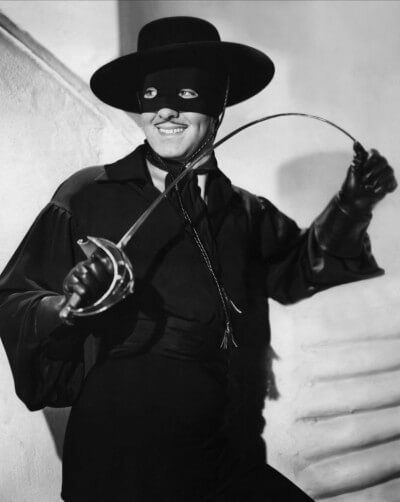 Despite having carved the letter “Z” into people’s buttocks using a sword once described as a “gay blade,” Zorro is getting a grim n’ gritty reboot. Playwright and screenwriter Chris Boal has been brought on to deliver a darker take on the famous character that is in line with Batman. Because who didn’t see Zorro and think “I bet he cries when he’s alone. Leonardo DiCaprio must have liked what he saw of Jonah Hill in The Wolf of Wall Street. No, I didn’t mean that scene, I meant in general. Because the saddest man at the Oscar party is reteaming with Hill for The Ballad of Richard Jewell, which tells the story of the 1996 Atlanta Olympics bombing. A writer has now been assigned: Billy Ray, fresh off an Oscar nod for Captain Phillips. I feel confident in DiCaprio’s chances to be simultaneously honored and humiliated by an Oscar nomination and loss for this next film. Not really movie news, but seeing as how many people shared the video, I feel a need to tell you they haven’t invented a hoverboard. Funny or Die, the comedy web site, used some famous people and special effects to make it look like science finally did us a solid by turning the fictional hovering skateboard from Back to the Future into reality. But it was a joke. A joke that made lots of people sad and angry upon inspection. So, it’s kind of like anything Daniel Tosh says. Steven Spielberg is reportedly thinking about remaking West Side Story. I’m no fan of movie musicals, so I don’t really have a dog in this race, but we only have so many years left with one of the greatest directors of all time, so I’d prefer he do something that hasn’t been done. Yes, this is my plea for him to finally read my spec script Robots and Aliens and Stuff.